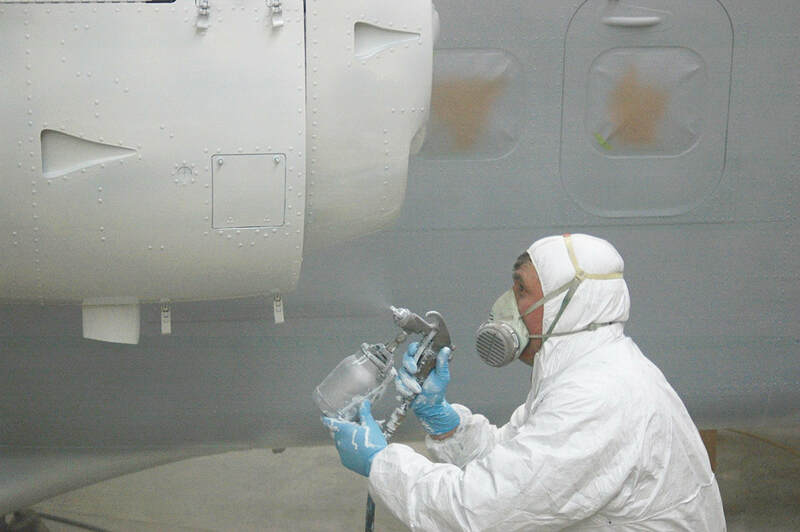 BASF offers coatings and coatings solutions for aerospace that can improve aircraft performance, decrease the downtime during airframe overhauls as well as increase the lifespan of your coatings. Cure on demand catalysts, UV absorbers, and heat management pigments are but a few examples of BASF's broad coatings and additives portfolio. Meets AAMA613 and AAMA2604 testing requirements. This coating is suitable for helicopters and low altitude aircraft and can be combined with heat reflective pigments for a cool coating. Performance pigments provide dramatic color effects, high reflectivity, and unique finishes for interior and exterior aerospace applications that allow for thin, lightweight, and durable coatings. A tin-free metal catalyst that activates when exposed to UV light providing fast curing with reduced energy consumption. It is compatible with HDI based polyisocyanates and 2K-PUR and can be processed at low temperatures while providing a long pot-life. Solyfast reduces waste and the curing footprint while providing a healthier working environment and sustainable coatings operations. Reduced heat build-up and increased IR reflection are the keys to keeping your environment cool and energy consumption low. Mirror, liquid metal and specialty finishes offer high degrees of freedom for cabin interior design. BASF comprehensive pigment portfolio covers a wide circle of colors with superb hiding power — key to the aerospace industry: Thin lightweight yet durable coatings are possible. Shortening the development cycle gives you the economic advantage: Choosing the right colors for a given application without doubts or error will do just that. Tinuvin CarboProtect is UV protection for epoxy based composite materials providing unmatched photooxidative stability.